YapzOr nominated for Red Bull's "Best Esports Player of the Month"
The International 2018 - who will qualify and who are the favourites to win? bOne7 interview: "I told Envy I want to coach his team so that I can build up my reputation and start playing again"
SingSing interview: "I'm going to quit pro Dota forever, this has been my last tournament"
Dota 2 tournaments: Watch out for the elusive cash cow! Biased gender role cast poses question: How inclusive has esports become for women? Gamekit: Earn points and exchange them for Steam dollars! ARS ART meltdown: "Artstyle is another player!" 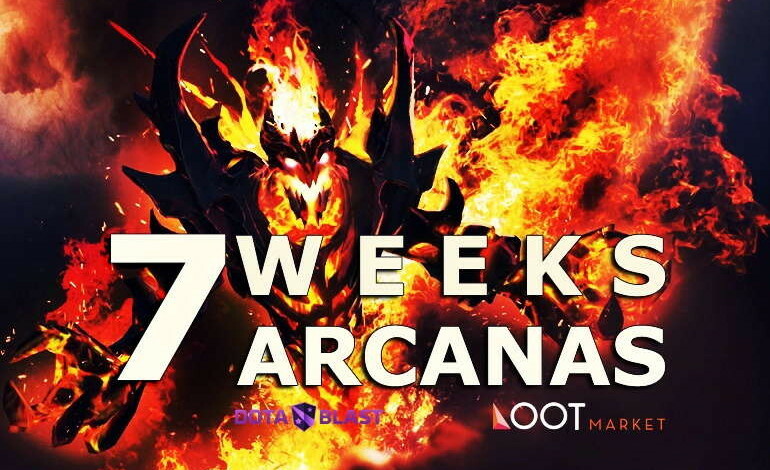 Once again we’ve partnered up with Loot Market to bring you a raffle of no less than seven Arcana items (winner’s choice!). You can win one if you sign up until April 25th, 2016. As always, we used random.org to generate seven random unique integers. After clearing up duplicate and late entries, off-topic comments, we were left with 51 valid contestants. Giancarlo, Lazrog, Agata, Alex951, dimitar9597, theherb, villamor. Congratulations! All the winners have been contacted via the email address they provided and the validity of their entry will be checked. Thanks for participating and don’t forget to sign up again next week! Follow a few simple steps and – as always – at the end of the sign up period we will choose our 7 random winners. Go to Loot Market and sign up with your Steam Account. For instance, you can follow them on Facebook, join the Steam group and follow on Instagram. Leave a comment to this entry on DotaBlast indicating how you have joined / followed. Optionally, you can join one of the frequent Loot Market giveaways and even drop your referral link in the comment section for extra exposure. 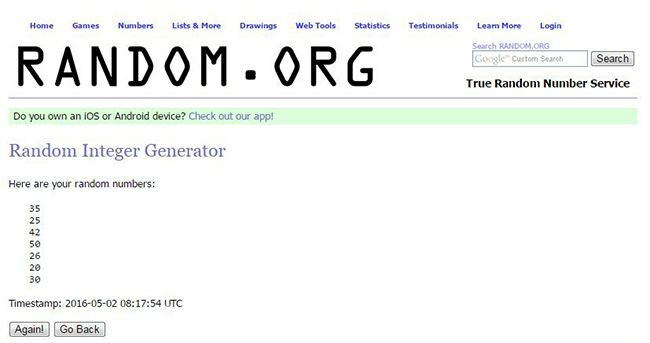 We will, as always, choose the winner using random.org and publicize the results no later than three days after the competition ended. The DotaBlast general rules for giveaways apply. There is only one winner per item. Winner needs to be able to provide a valid Steam account upon being contacted by DotaBlast. Valid entries will be counted from March 8th, 2016 until April 25th, 2016, 23:59 CET time. The winners will be notified by email and there will be an update to this post no later than April 30th, 2016. We will contact you through the email address you provided when you signed up for DotaBlast. Failure to reply to your signed up email or any other form of contact with DotaBlast within 72h from our winner announcement equals forfeiting your prize. Previous article Shanghai Major nightmare acknowledged by Valve: "We will be increasing our involvement"
Followed LootMarket on Facebook & Youtube. This giveaway ended a long time ago. Followed on Facebook, Youtube and Steam. Following on twitter, facebook and joined their steam group. Liked on Facebook and joined Steam group. Yo! Followed Loot Market on Twitter and Facebook. Hope I get lucky. WHAT DID U WIN BRO? WHAT DID U WIN BRUH? Followed on Facebook and Instagram. GLHF! Liked on Facebook and followed on Twitter. GL all! Followed on instagram, twitter and joined to steam group. Followed on Facebook, joined the Steam group. Liked on Facebook, Joined the Steam Group, Subscribed on Youtube. Followed on twitter, subscribed to the YouTube channel and I also joined the Steam Group. Hi I have followed LootMarket on Facebook and I also joined the Steam Group. Followed on Facebook, Twitter, Youtube, Google+, Instagram. more luck nxtym, what did u win bruh”? I wished i was in here!! The International 2018 – who will qualify and who are the favourites to win? All rights reserved to Blast Esports Media © 2015-2017. Valve, the Valve logo, Steam, the Steam logo, Source, the Source logo, Valve Source and Dota are trademarks and/or registered trademarks of Valve Corporation. DotaBlast is in no way affiliated with or endorsed by Valve Corporation.